Menisci have limited repair capability with tears resulting in pain, swelling, and mechanical instability. Meniscal injuries are among the most common knee injuries and result in over 1 million surgeries a year in the US. 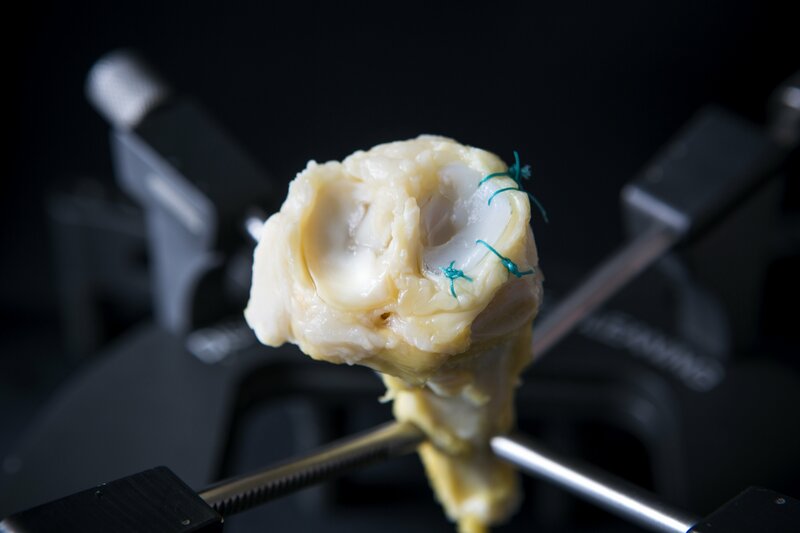 While there have been improvements in focal lesion repair, currently the only treatment for whole meniscal replacement is cadaveric allograft, which have a limited supply and carry a risk of disease transmission. Additionally, the meniscus requires an attachment into bone, an enthesis, to function properly. The strength of this attachment is correlated with patient recovery. We have developed an anatomically correct high density collagen meniscus and are currently investigating different cell sources, enthesis structure and properties, enthesis development, potential lubrication properties, and the use of chemical and mechanical stimulation to improve the organization and properties. 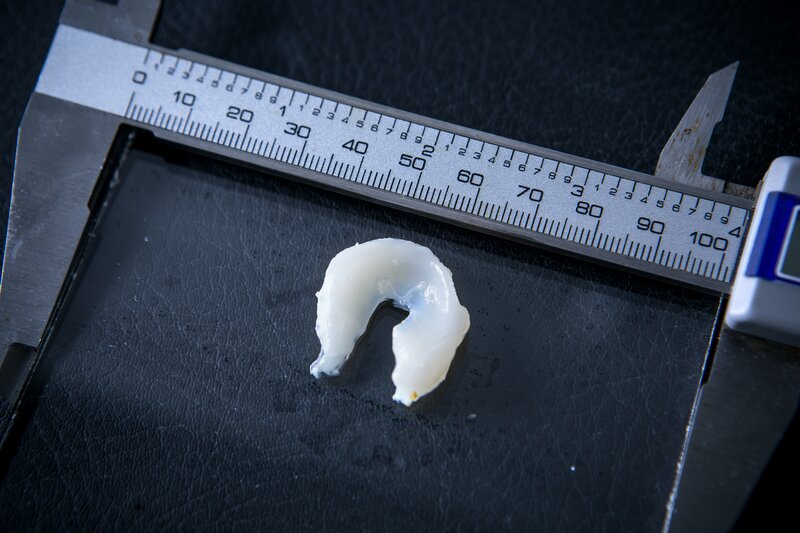 Tissue engineered meniscus implanted into ovine cadaver stifle.